The longtime Sonics announcer will give up national broadcasts to become Portland Trail Blazers’ play-by-play announcer. He said less travel and ‘opportunity to get hunkered down into a community again’ were key factors. Longtime Seattle SuperSonics play-by-play man Kevin Calabro never envisioned calling games for his former team’s arch rival. Then again, he also hadn’t foreseen the Seattle City Council rejecting a proposal last month that has stalled an arena getting built in Sodo District and the Sonics being revived any time soon. 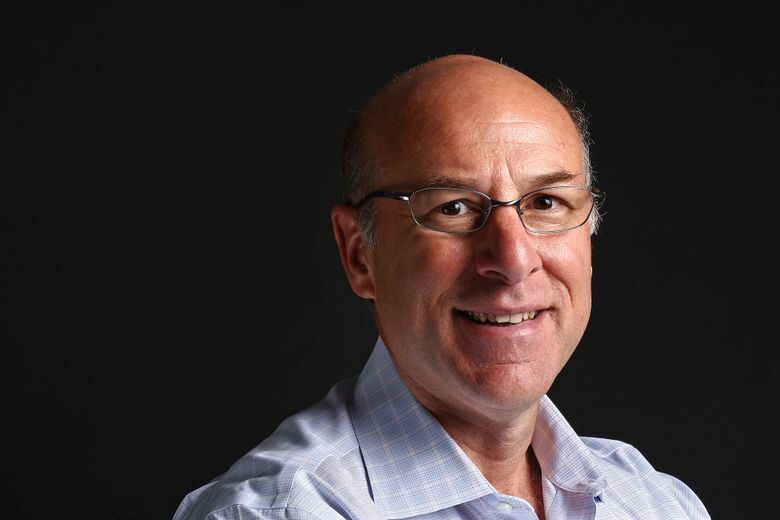 So, when the Portland Trail Blazers soon after approached Calabro, who turns 60 on Monday, to again work with a local NBA team, past rivalries gave way to common sense. Calabro was the lead voice for ESPN Radio’s national NBA broadcasts, while also calling games for TNT, TBS, NBA TV and Pac-12 Networks. That meant working about 65 games annually away from his Seattle area home. Though it’s still “a grind” following a local NBA squad, he’ll fly on the team’s charter to 41 away games, have dining companions on the road and a community to feel grounded in. Admirers of Calabro’s work say returning to a regional sports network will allow him to excel. “He can unleash his enthusiasm the way he wasn’t able to do on the national broadcasts,’’ a longtime sports TV executive told me. Calabro agrees his style will be a lot more “creative” and “expressive” on the RSN, where announcers aren’t expected to be as neutral. Right now, the question is which RSN he’ll be working for after next season, though industry sources tell me it won’t be the team’s current Comcast SportsNet Northwest partner. The Blazers’ problematic 10-year, $120-million deal with Comcast expires after 2016-17. Sources say the team will announce within a week or two they’ll join Mariners-owned ROOT Sports Northwest on a partnership with enhanced distribution of Blazers games. The attractive part of ROOT Sports, which the Mariners own 71 percent of, is that DirecTV is a 29 percent minority partner. DirecTV uses a satellite-based distribution system blanketing a multi-state territory that includes Oregon and Washington. Comcast has cable-based distribution, requiring physical cable lines to be run underground to its customers. It’s impossible to run lines throughout multiple states, requiring Comcast to cut distribution deals with rival networks to carry Blazers games beyond a limited territory. Those proved tough to come by. ROOT Sports and its DirecTV satellite system starts off with a much broader territory of coverage. And as nervous Blazers fans have noticed, that territory includes more of Seattle. Conspiracy theories quickly surfaced in Rip City. After all, the Blazers are owned by Seattle billionaire Paul Allen and just replaced their broadcast crew of Mike Barrett, Mike Rice and Antonio Harvey with — of all people — the former voice of the Sonics. Could Allen be prepping the Blazers for relocation? Sorry, but not a chance. First, the Blazers are contractually tied to Portland through at least 2023 and likely 2025 unless somebody pays a huge lease-breaking penalty. Allen is 63 and has battled cancer. The idea he’d mastermind a relocation conspiracy unlikely to produce results for nearly a decade stretches credulity. Second, the NBA already experienced one PR nightmare over relocating the Sonics to Oklahoma City in 2008. The league wouldn’t risk alienating the remainder of the Pacific Northwest by letting the Blazers walk, even if it’s to Seattle’s benefit. Finally, the Blazers aren’t exactly struggling financially in Portland. In fact, they’re poised to do better if they continue a Seattle market push launched this year. In February, we reported on Sports Radio KJR picking up Blazers radio broadcasts. At the time, Dewayne Hankins, the Blazers’ vice-president (digital), said he hopes to eventually increase marketing in Seattle if the NBA changes rules limiting such activity to within 75 miles of a team’s home arena. Portland got a TV exemption for Seattle soon after the Sonics left. Now, with the looming RSN change, the team is positioned to take better advantage. And with the pending new network will come a different voice in Calabro with broader appeal across the Pacific Northwest. Calabro admits taking the job would have been tougher had Seattle’s council granted a request for a street by entrepreneur Chris Hansen for his Sodo arena project. While it wouldn’t have guaranteed an NBA team — something the league insists won’t happen near-term — the perceived chance of a Sonics rebirth would have given Calabro pause. Instead, nine days after that vote, the Blazers first approached Calabro about the job. And while Sonics fans are no closer to getting their team back, they’ll at least have a familiar voice to listen to if they still care to follow the sport.